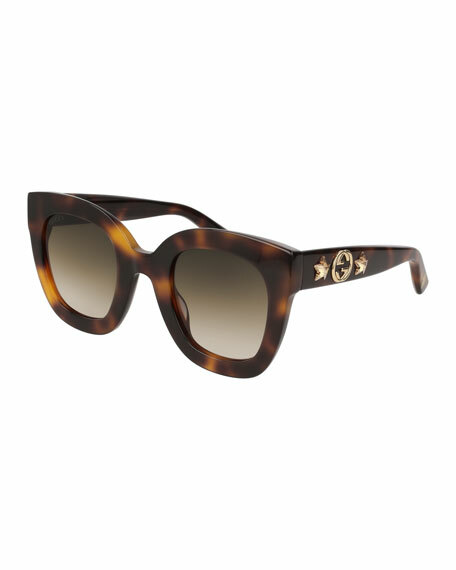 Gucci oversized rectangle sunglasses in acetate. Gradient lenses; logo script at right. Interlocking GG logo and Swarovski® crystal stars at temples. For in-store inquiries, use sku #2339222.